You are here to see if you have a defense to your DUI in Sacramento. 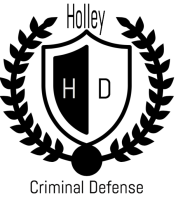 When it comes to DUI's there are two primary types of DUI Defenses. Our Sacramento DUI Criminal Defense Attorney is experienced in dissecting every fact of a DUI Case to see what defenses apply and how to apply them. A DUI factual defense is, as it sounds, that DUI did not factually occur. The crime of driving under the influence requires two elements. 1. You drive a motor vehicle. AND 2. you did so under the influence of an alcoholic beverage. However, it is NOT ILLEGAL to drink and drive. Your alcohol consumption must be to such an extent that it has impaired your ability to drive safely. How do I know if I had enough alcohol to cause impaired driving? The California legislature determined if you drive with a Blood Alcohol Concentration (BAC) of a .08% or higher. Common factual defenses to driving under the influence are 1. You were not driving or 2. you were driving, but you were not impaired. The Sacramento County District Attorney's office has the burden of proof to prove both that you drove AND that you were to impaired to drive. While the fist type of DUI defense can be more apparent to the untrained eye, the second type takes years of experience defending DUI cases. Our trained DUI Lawyers in Sacramento know exactly what to look for when it comes to legal defenses to a DUI in Sacramento. Common legal defenses include 1. the officer did not have probable cause to pull you over 2. Officers failed to perform the field sobriety tests correctly or the breathalyzer was not calibrated in accordance with standard procedure. Additionally, there is a corpus delecti defense if there is no other evidence of a DUI other than your own admissions. Legal defenses to a DUI are often too complex and too many to describe here. Even if you believe you are guilty of a DUI, that does not mean that the prosecution can convict you. It is critically important to speak to an experienced DUI attorney to evaluate your case and provide you with the best possible chances of either getting your DUI dismissed or, at a minimum, lessen the strict repercussions. Impaired Driving Not caused by Drugs or Alcohol. "Mouth Alcohol" lead to false reading on breathalyzer. Our Sacramento DUI Defense Attorneys DUI Lawyers are here to help. Call now for a FREE Consultation. Don't delay, there are mandatory deadlines the must be followed or you can get your driver's licen​​se automatically suspended.